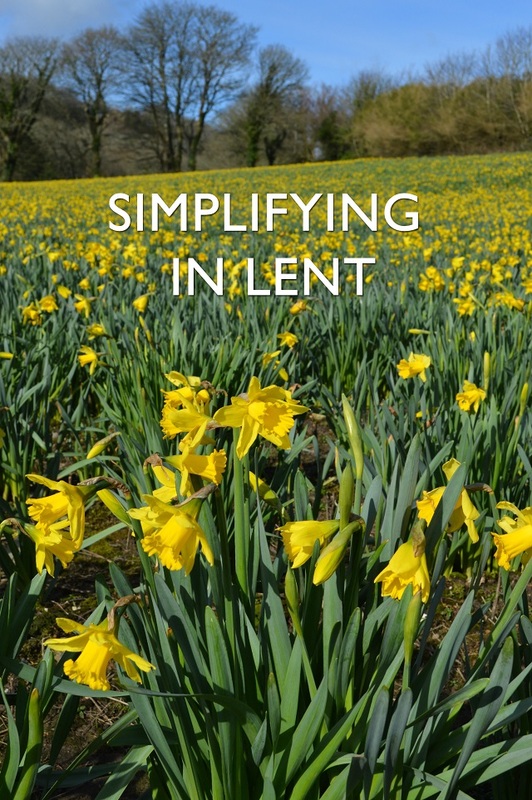 As a follow up to last week's post on St. Benedict I thought I'd list some of the more interesting (and challenging) simplifying ideas which I've been reading about in Paula Huston's book, Simplifying the Soul: Lenten Practices to Renew Your Spirit. Many of these ideas may seem extreme or too difficult for a lot of us (including me) but it's worth remembering that they are just suggestions and are recommended to be followed for just a day at a time. If you're not ready for some of them now, maybe the ideas will be worth trying out at some later point. Maybe, just reading about them may influence your everyday life and make you question some of your habits. They certainly reveal that as humans we are attached to more than just possessions and money. For example, what about our attachment to busyness, our appearance, our routines and our social interactions? These attachments can hold us back from so much in life: new opportunities, increased self-knowledge, building confidence and having time to explore new spiritual paths. Confronting the malaise of our emotional clutter can be just as hard as dealing with our physical clutter and Huston's book deals with both. Any inspiration is worth passing on, I think, and can be useful whatever religious beliefs you hold and to anyone with any interest in living more intentionally with less. Great ideas, thanks for sharing.